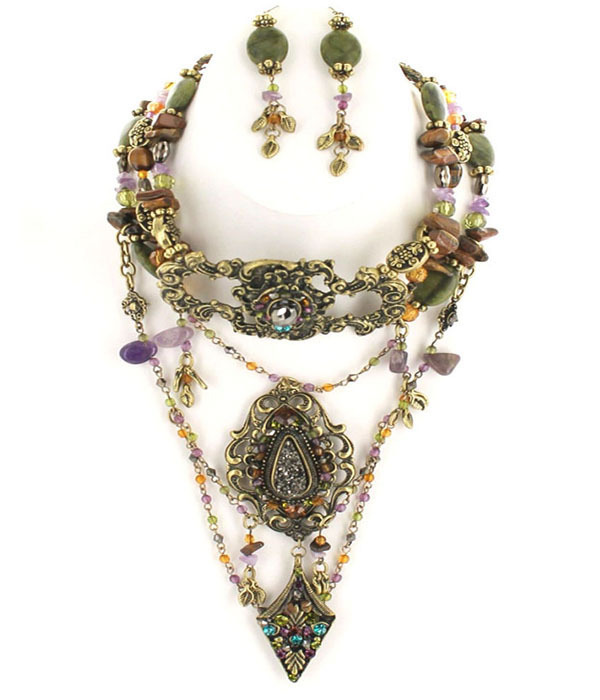 Add vintage flair to your outfit wearing this exquisite and unusual necklace set. The bib necklace is made of aged gold and features a large pendant in the center. Multicolored beads and shining stones complement the design. Shopping for online jewellery Australia has never been so easy. We hope you enjoy browsing our extensive ranges.